April Podcast Preview: Cops, True Crime, and Michael LewisPlus a guide to surviving natural disasters. The Obamas’ First Netflix Project Will Be Adapting This Book About TrumpThe Fifth Risk explores how Trump’s administration has destroyed the government from within. The Coming Storm Is Riveting, But Why Is It an Audiobook?In his latest project, Michael Lewis investigates America’s crisis of kleptocracy. 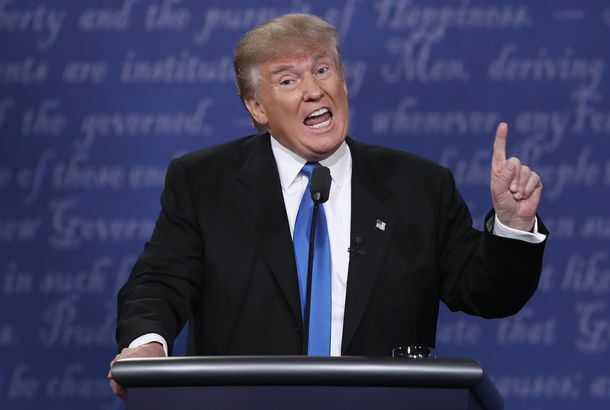 Michael Lewis on the Psychological Quirks Trump Exploited to Become PresidentRiffing off his new book, the author explains that he is extremely worried about Donald Trump’s personality and thirst for certainty. Reading Michael Lewis’s New Book Made Me More Worried About Donald TrumpSome leaders are really good at understanding that humans are flawed decision-makers. Others … well, you know. Michael Lewis’s Next Book Will Be About the Godfathers of Behavioral EconomicsThis ought to be good. The Big Short Turns the Financial Meltdown Into a Heist ComedyDirector Adam McKay invents his own glorious goofball syntax: part business thriller, part stand-up comedy, with a liberal dash of NPR didacticis. Christian Bale and Ryan Gosling Join Brad Pitt’s Big Short AdaptationIt’ll be directed by Anchorman’s Adam McKay. Toni Morrison, George Saunders, and Michael Lewis Are Now Published by ChipotleOn cups. 9 Gripes From a High-Frequency TraderThe author “didn’t bother to understand” the world of high-frequency trading, according to this industry honcho. What It’s Like to Star in a Michael Lewis BookRonan Ryan, the hero of Lewis’s new book Flash Boys, on working with the best-selling author. Michael Lewis Beefing With a Banker, Right on TimeHow else to celebrate publication of his new book? Should You Be Worried About High-Frequency Trading?Or is digital front-running a rich man’s problem? Adam McKay to Write and Direct The Big ShortThe Michael Lewis book. The White House Helped Edit Michael Lewis’s Barack Obama StoryVanity Fair agreed to quote-approval. Michael Lewis Given ‘Extensive’ Access to ObamaThe Moneyball author’s piece will appear in Vanity Fair’s October issue. Michael Lewis’s Home Game Headed to ABCBut who will play Tabitha Soren? 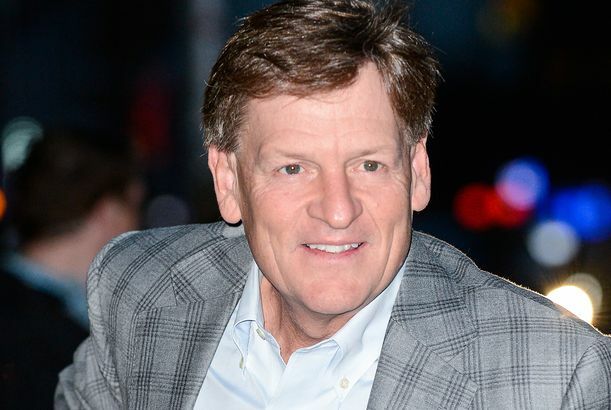 Michael Lewis to Adapt Liar’s Poker HimselfHe’ll write the screenplay for his 1989 financial book. Note: When Using Fake Bills, Do Not Keep Them in Your UnderwearThis is what we learned from today’s Stupid Crime of the Day. Vanity Fair’s Fishy Tales From IcelandNo one cared about the tiny island until it collapsed. Now it’s worthy of some tall tales. The Downturnaround Kills Its IdolsEven the best financial minds of our time have made mistakes.